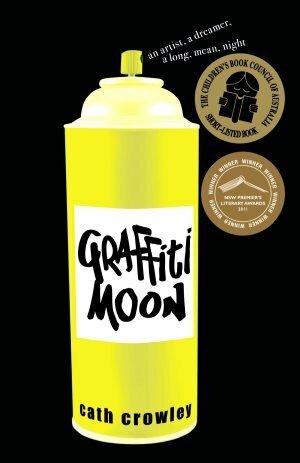 Graffiti Moon by Cath Crowley – LOVED this one. Beautiful, beautiful prose and characters I wanted to both hug and hang out with. Ed was the perfect combination of complicated and adorable, and I loved Lucy’s audacity and wit. This is one of those rare books that’s both enviably amazing, yet totally inspirational in the writing department. How are Australian authors so consistently awesome? Highly recommend! 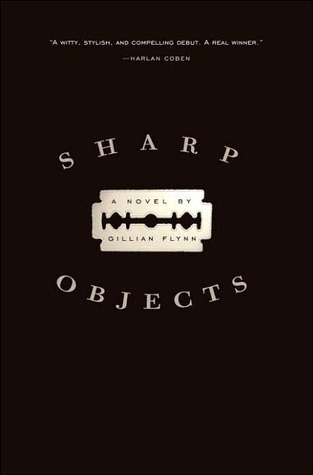 Sharp Objects by Gillian Flynn – If you’re looking for a psychological thriller and are not easily offended, disturbed or freaked out, please do pick up Sharp Objects. I reviewed it in greater detail HERE. 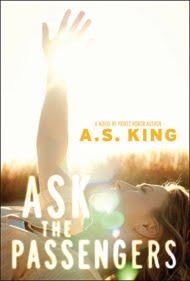 Ask the Passengers by A.S. King – So unique; it’s several different books rolled into one. A provocative issue book, a perfectly-voiced contemporary, a first-love romance, a family drama that feels alarmingly authentic, all with a sprinkle of unexplainable magic tossed in. Find my review for YA Confidential HERE. 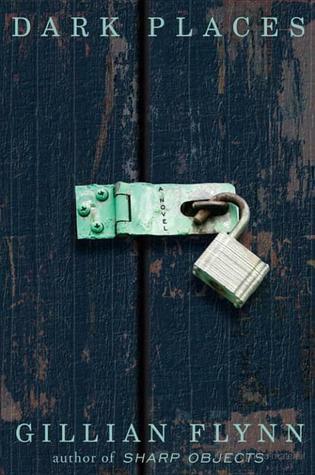 Dark Places by Gillian Flynn – Probably my least favorite of her three, but that’s not to say it wasn’t excellent. True to Gillian-Flynn-form, this book’s characters were completely deplorable, yet totally compelling. Dark Places is structured like a fairly traditional murder mystery, but it’s twisty and chilling and definitely had me turning pages. The ending, like those of all of Flynn’s novels, was a beguiling surprise. 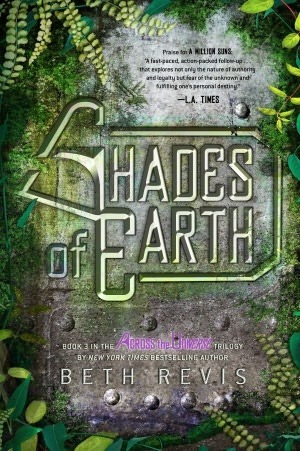 Shades of Earth by Beth Revis – (Damn it — I still wish this cover matched the other two in the trilogy. I like my shelves to look cohesive!) Shades of Earth is a worthy conclusion to a trilogy I’ve followed since it debuted. I had no idea what to expect going into this one (though I’d heard something about dinosaurs… whoa), and I’m glad for all the surprises. Beth Revis does not hesitate to throw the unexpected in your face, which made this novel a total page-turner. Also, Elder continues to be charming and endearing, so that doesn’t hurt. If you haven’t read the Across the Universe trilogy, I highly recommend it (even if, like me, you’re not a huge science fiction person). I read so many great books in January that I can’t narrow down my fave one. Just finished How to Say Goodbye in Robot by Natalie Standiford last night. I bet you’ll love GRAFFITI MOON, Erin. I picked it up thanks to Tracey’s rave reviews, and I’m so glad I did. I’ve yet to be disappointed by an Australian author! Looking forward to reading about the books you read this month! They’re both fantastic, Rebecca, but I can see your hesitance with SHARP OBJECTS. There are A LOT of very edgy, emotional, hard to read scenes in that book. Let me know what you think of DARK PLACES! Isn’t Kale so much fun?! He’s so naive and charming, yet a total badass too. I love Jus’s voice. She’s got a new series coming out next year. I’ve read the first book and it’s fantastic. I just got ASK THE PASSENGERS out of the library but also took out 5 or 6 others LOL. Now to decide what to read… 😉 I still want to read the rest of Gillian Flynn’s books and that Tara French one… I just bought INCARNATE (went to Jodi’s launch party for her 2nd, ASUNDER) and am looking forward to that. I’m 200pgs into PANDEMONIUM, sequel to Lauren Oliver’s DELIRIUM. Reading for my internship blah blah. LOL it is never ending for me!!! So many books, so little time! I really want you to read the Tanna French. I’m dying to discuss the ending with someone. I read it years ago, and I still think about it how it all concluded. What are you thinking of PANDEMONIUM? I know DELIRIUM got some mixed reviews, but I loved it, and I loved PANDEMONIUM even more. Can’t wait for REQUIEM! I loved your THE MADMAN’S DAUGHTER review today, Rachel! I just got that one yesterday and I can’t wait to read it. And YES to Team Julian… Totally! I’m really excited to finally get to Shades of Earth–I have to re-read Across the Universe for the class I’m teaching anyway, so I’m waiting until I’ve done that. Sounds like a really great reading month! Oh, and a question about Gillian Flynn. My mom, sister, and I are doing an email book club this year, and my sister doesn’t want to read Gone Girl because she “doesn’t read thrillers”. Neither do I, really, but I’ve heard so many people say, “This was the only thriller/adult novel/current hit I read all year and it was so worth it” that I’m on board. How would you sell the story to someone wary of the thriller aspect? GONE GIRL is definitely a thriller, but it’s also very much about marriage and manipulation and how far someone might go to get what he/she wants. It’s one of those books that makes you question how well you *really* know the people around you. Gillian Flynn’s writing is fantastic and she makes the most spot-on observations about people and culture. And really… the twists. My jaw literally dropped about twelve times over the course of that novel. Let’s hope! My sister is a hard sell sometimes, but I’ll give it a shot! I also wish I had more time to read!! The 2 best books I read in January (since I can’t pick just one!) were JUST ONE DAY by Gayle Forman (YA) and ONCE MORE WITH FEELING by Megan Crane (chick lit). I requested SHARP OBJECTS from the library, so hopefully I’ll get it soon! Right now I’m reading INSURGENT, and it’s good but sooo long. I hope you get to read SHARP OBJECTS soon, Zanne. I can’t wait to hear what you think! JUST ONE DAY is in my February To-Read pile… I adore Gayle Forman’s writing, so I can’t wait to pick it up. I finally got a copy of Gone Girl from my library (I’ve been on the waiting list forever) and I can’t wait to read it! Her other books sound so dark and interesting, I’ll probably add them to my TBR too! I have Shades of Earth but haven’t read it yet, and I agree with you about the cover redesign. The originals were so pretty! I had a bunch of enjoyable reads in January, including Through the Ever Night and the upcoming Dualed. My favorite read was probably The FitzOsbornes at War since it was the final book in a really wonderful trilogy from another talented Australian author. What do they put in the water there? I also read, based on your YA Superlatives posts, Amelia Anne is Dead and Gone and really liked it! So thank you! Sharp Objects is on my list. And Gone Girl. You’ve made me really want to read both of these books. I just wish there was more time. I’ve only been able to get two (fiction) books in this month–The Fault in Our Stars (FINALLY!) and Asunder (which I’ve been wanting since this time last year!). I haven’t read ASUNDER… What did you think? I do like the cover a lot, but I don’t know a lot about it. You’ll have to let me know what you think once you get around to reading Gillian Flynn’s novels. I hope you find them as captivating as I did! Oh, yes…I SO need more time to read! Right now I’m stealing minutes here and there to read Days of Blood and Starlight. Thanks for the recommendations, Katy! And the love! Have a great weekend! Ooh, loved DAYS OF BLOOD AND STARLIGHT… Laini Taylor rocks! Hope you find lots of time to read this weekend, lady! I LOVED GRAFFITI MOON so much. My best book of January was A CORNER OF WHITE by Jaclyn Moriarty, also an Aussie author – I think they put something in the water down there – so much talent! I’m really looking forward to ASK THE PASSENGERS too.